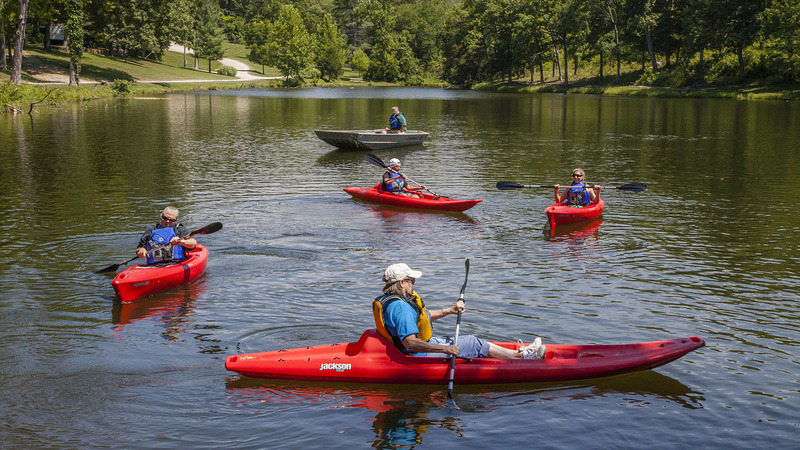 Southeast Missouri boasts many beautiful rural communities that our employees call home. Understanding what residents of those communities have on their mind is important to us, so we regularly survey our neighbors. We use their feedback in our decision-making and community outreach efforts. In 2017, we conducted our third community survey in seven years with residents living near Viburnum, Boss, Herculaneum, Glover and the Old Lead Belt. Doe Run is committed to educating the next generation of industry leaders about the importance of metals and mining. In 2017, Doe Run donated $10,000 to add Project Lead The Way curriculum to the Valley R-VI School District. 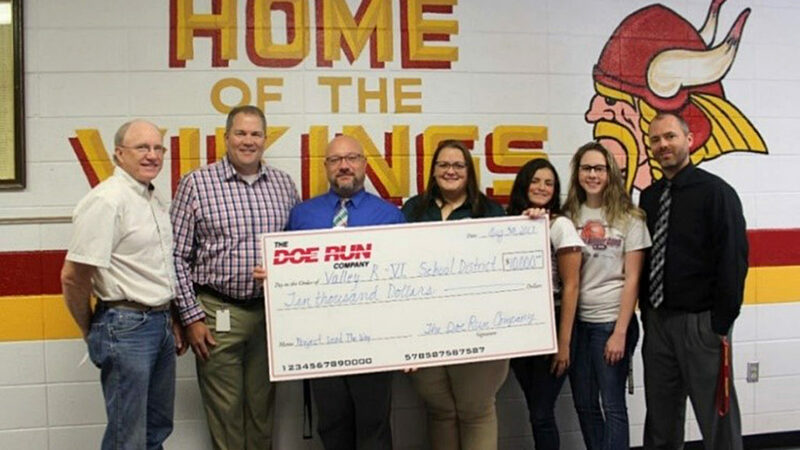 In 2017, Doe Run donated $10,000 to add Project Lead The Way curriculum to the Valley R-VI School District. This four-year science, technology, engineering and mathematics (STEM) curriculum prepares students to solve real-world problems in a collaborative environment. For example, students use lab equipment to run DNA sampling and learn the correlations between genetics and disease. As a professional engineer, Tom understands the value of hands-on STEM learning and has passed that along to his three children who have pursued careers in engineering, information technologies and education. Nearly 20 percent of all current U.S. jobs require STEM skills or training, and that requirement will only increase. STEM careers don’t require advanced degrees in areas like engineering. Nearly half of STEM jobs don’t need a four-year degree, including metal production and mining careers. Garnering positive feedback from both students and parents, Project Lead The Way plans to add a second course at the Valley R-VI high school and expand to the elementary classes in the next two years. Annually, we provide $10,000 in scholarships to Missouri University of Science and Technology (Missouri S&T) and Mineral Area College. Company employees visit local elementary schools to lead hands-on activities that teach children about the importance of minerals. We donated $50,000 to Missouri S&T for a new Ingersoll Rand R1101 air compressor. The equipment gives students hands-on experience with real tools used in our mines for their drilling and blasting classes. We created our Nursing Scholarship Fund to provide a $1,000 per semester scholarship for students enrolling in the new nursing program at Southwest Baptist University’s (SBU) Salem campus. Our industry continues to grow, with an expected 50,000 new mining employees by 2019, and 2 million manufacturing jobs over the next decade. Doe Run is investing in STEM education in our region so our children are ready for the mining careers and high-tech jobs of tomorrow. Our survey also asked community members about how they perceive Doe Run. In our 2012 survey results, we heard that the community expected us to do a better job meeting environmental obligations. Since then, we’ve made significant investments that improve our environmental impact. Our neighbors now rank our ability to meet our environmental obligations as one of our top three performing areas. In 2017, our communities helped us identify areas of improvement where we will focus our efforts in the future. Our neighbors want to see Doe Run even more involved in our community. As lead prices declined sharply during the last few years, we scaled back some community outreach. When lead prices rebounded in 2017, we’re again focusing more on community involvement. We are looking at company resources and facilities, which could be repurposed to support access to health care in the Viburnum area, and expanding support of STEM activities in Rolla. We also are continuing to support annual community events, such as Old Miners’ Days and Fall Rocks. The survey feedback also revealed frustration about our property tax appeal in Reynolds County. The appeal was originally brought on by a more than 30 percent increase in the tax bill for our mining operations. When we appealed the assessment, it became clear there was not a defined process for valuing our property. We are committed to seeing the appeal to its endpoint in order to have a defined method for property tax valuation. During the appeal process, we continue to pay the full assessed value of the property.